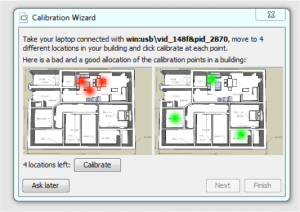 Besides lots of usability improvements and core-localisation updates, from now on you will also be able to “calibrate” your laptop so that all the data you collect will be optimized for localisation on phones and tablets out of the box. We know that only Android support is not sufficient for many of the use-cases. That’s why we are going to release an iOS compatible version in Q3 this year! For those who can’t wait we provide an iOS jailbroken version (based on Wifi fingerprinting and sensor fusion) as well. These are apps for events, retail and visually impaired navigation, using indoo.rs technology to help people navigate effortlessly around each venue. You can download the apps and test the features when on-site. Also, stay up to date with what’s going on at indoo.rs by signing up to our monthly newsletter. You will be notified about our most recent projects, events we’re attending and presenting at, as well as technology updates.